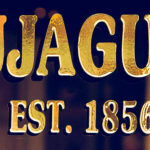 Tujague’s Restaurant is the second oldest, continually running restaurant in New Orleans. 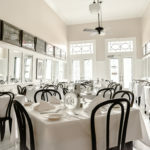 Established in 1856, this French Quarter institution has been serving traditional New Orleans cuisine to locals and visitors alike for more than 160 years. 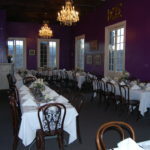 Located in the heart of the French Quarter, at the corner of Madison and Decatur, the restaurant began its long history by serving the hungry port workers from the Mississippi riverfront. 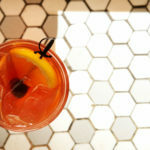 Lore states that brunch originated here, as did the Grasshopper cocktail. 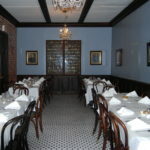 Homages to the restaurant’s long and colorful history abound within the interior of the building from the classic 19th century architecture to memorabilia on the walls. 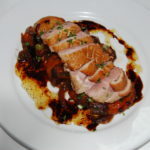 The menu features locally sourced ingredients in traditional preparations. 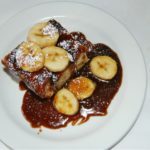 Items such as the Seafood Courtbouillon and the Gumbo meld French traditions with New Orleans fare and flare. 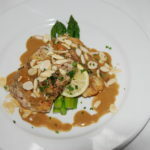 Tujague’s famous five course menu is still served nightly; but have no fear, the menu is no longer pre-fixe, so those less ravenous diners can join in too. 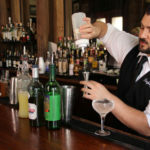 If you want a quintessential New Orleans experience filled with history and local flare, Tujague’s is your place.